FIT has a special Cable TV package provided by RCN. The Division of Information Technology provides support by repairing any broken cable jacks in the room. 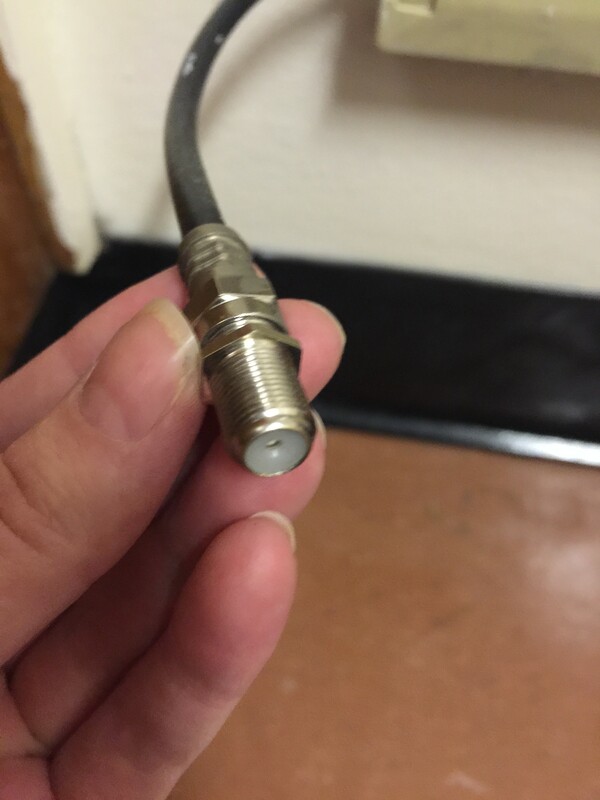 Not sure if your jack is working, follow our post Is my Cable Jack Broken?. 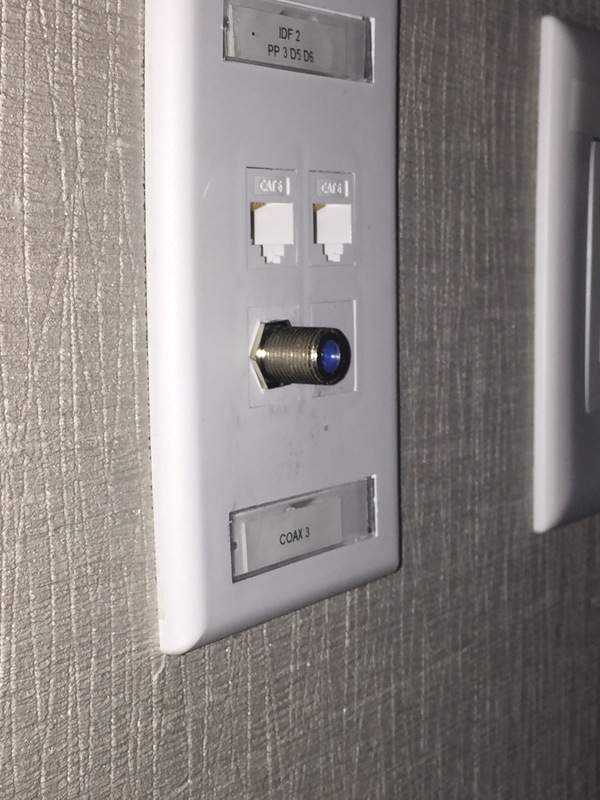 Locate your wall jack for cable. The location varies for each room and even look different. Every room will have at least one, you may need to look behind your furniture. 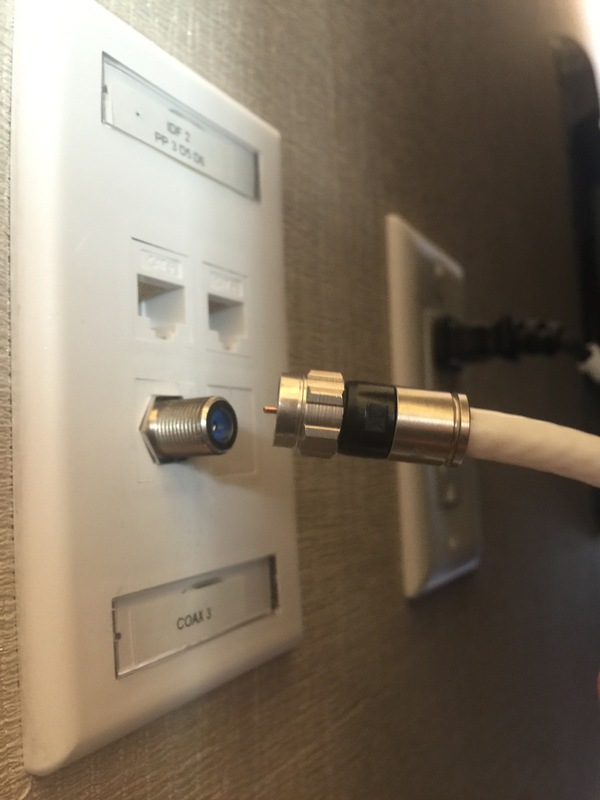 The previous resident may have removed the Cable Barrel Connector to install a cable splitter if you are missing a cable barrel connector. 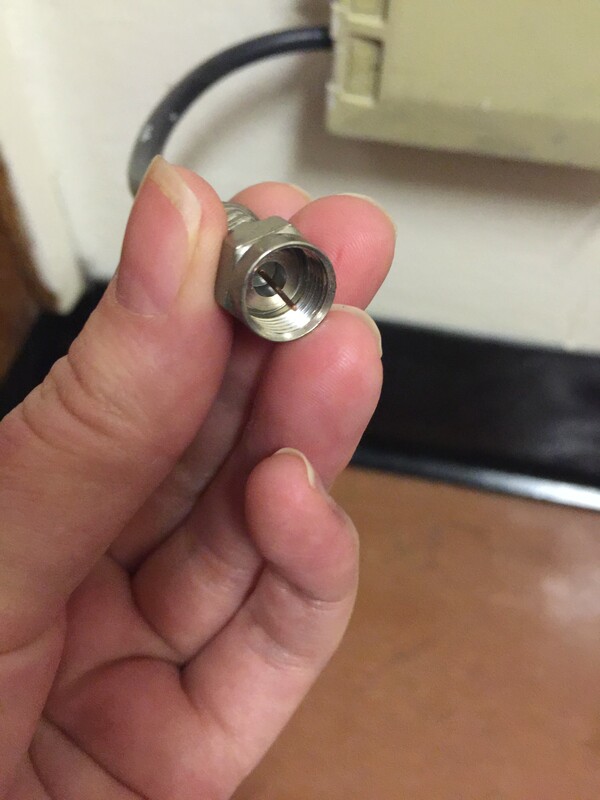 If your jack is missing a cable barrel connector, please visit TechHelp in C307A during office hours. Plug the power cord into an outlet and turn the TV on. Perform an Auto Scan, Channel Scan, or Channel Search – for the TV to capture all the available channels. Using your TV remote, select “Menu” and navigate to “Channel Setup,” “Channel Search” “Auto Scan” or “Channel Scan.” Please refer to your TV manual for step-by-step instructions, note running a channel scan is not the same as pressing Channel UP/DOWN on your remote. See the FIT Channel Guide for the complete listing of Channels. If you do not have your TV manual and you know the model number of the TV (usually on a sticker on the back of the unit) you can also go to google and search for instructions to your particular TV. For example, if you have a Sony KDL32W600D, you can search for “Sony KDL32W600D auto scan” or “Sony KDL32W600D manual”. Sometimes you may even find videos on performing the task on YouTube. There is only one cable jack per dorm room. If you wish to connect more than one tv. You will need to purchase a cable splitter. To connect a cable splitter the cable barrel connector may need to be removed for some locations. 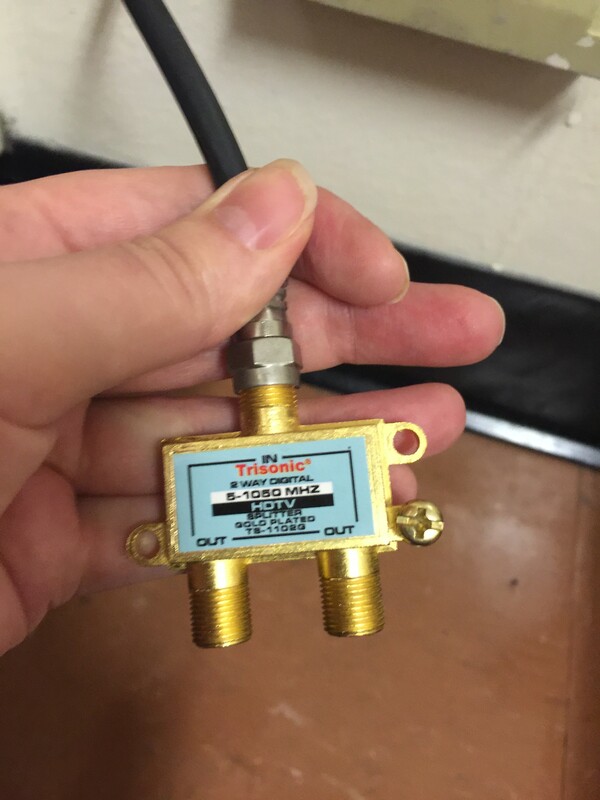 Keep in mind that the quality of the image may be by inferior cable splitters and coaxial cables. Is my Cable Jack Broken? 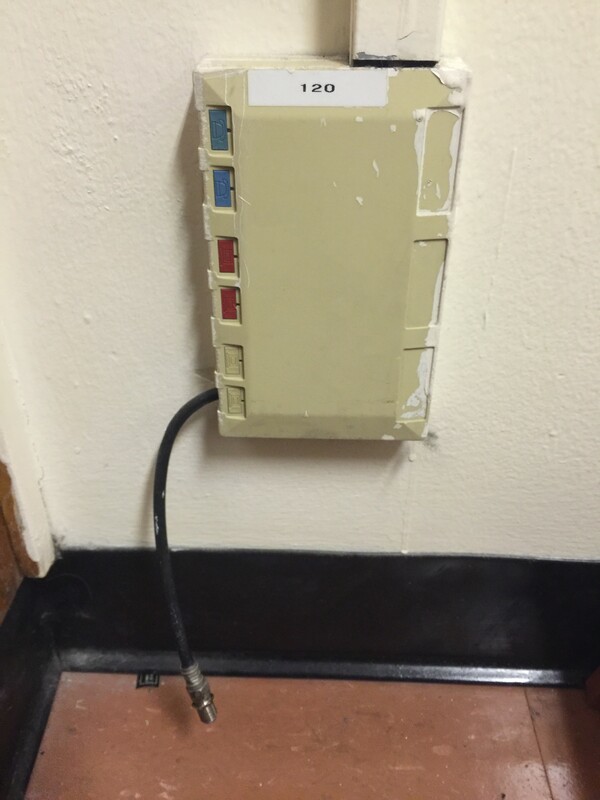 ‹ Find your MAC Address and IP Address	› Is My Ethernet Jack Broken?